Space saving and space creating. 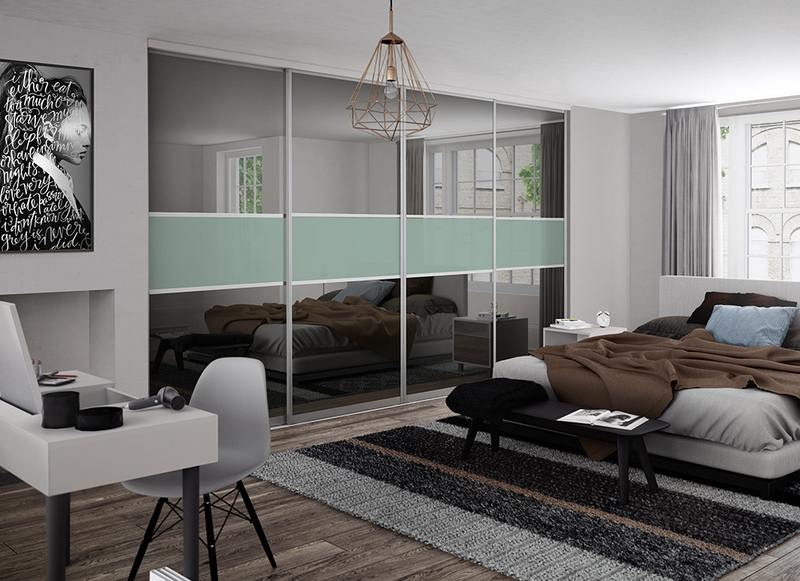 Stunning sliding doors and storage solutions from in-toto Bedrooms. 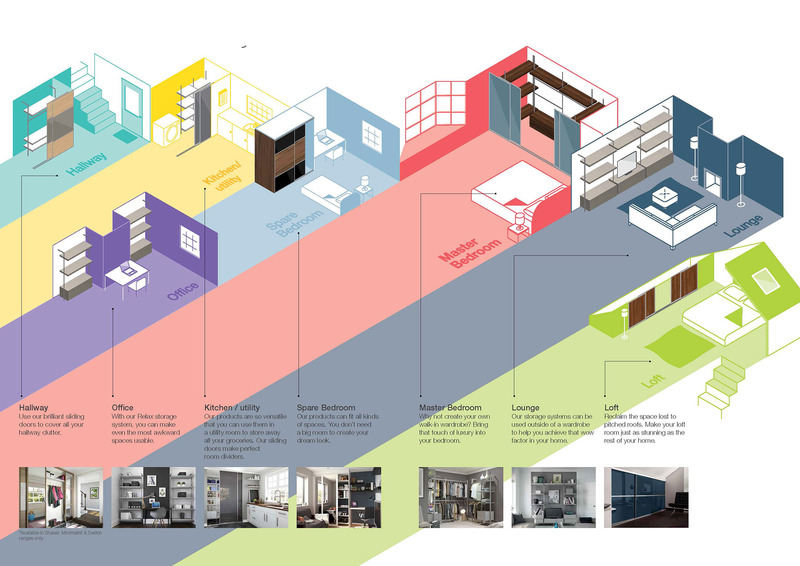 Find out more by downloading our beautiful new Sliding Doors & Storage Solutions brochure! A timeless design which offers you the flexibility to create a contemporary or more traditional look. Choose from a variety of frame finishes. Either complement with matching wood effect panels or make a bolder statement by combining contrasting wood effects and glass panels together. Now available in either a single or 3 panel option and with an extensive range of on-trend colours and finishes to choose from. The Shaker range is simply stunning and does justice to a modern day classic. The IB300 range is unashamedly influenced by Italian design and makes a bold statement in any modern home. Now includes new and improved design. Its narrow frame and integrated touch handle ooze luxury. This range is deliberately understated, allowing the glass panels to dominate the design with breathtaking results. Our Loft range provides a great solution for maximising storage space in any attic room. 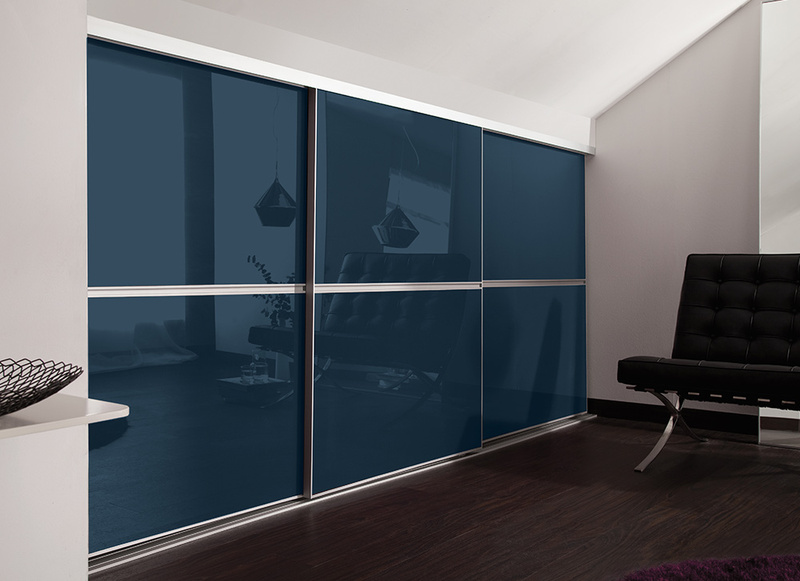 Choose from a range of 2 panel glass and mirror options to create your own look. The perfect choice for creating an elegant walk-in wardrobe or for use as a room divider. 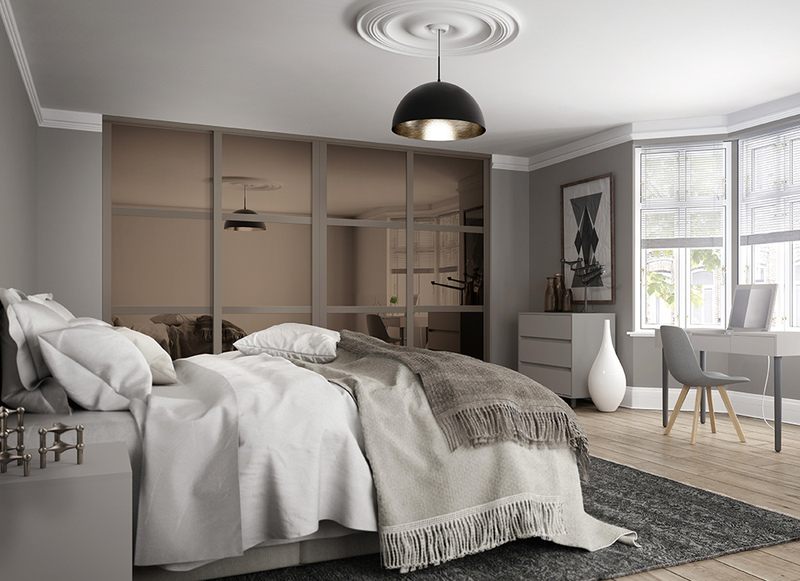 The IB500 design with its curved frame design is both contemporary and versatile and has a variety of glass and mirror finishes to choose from. 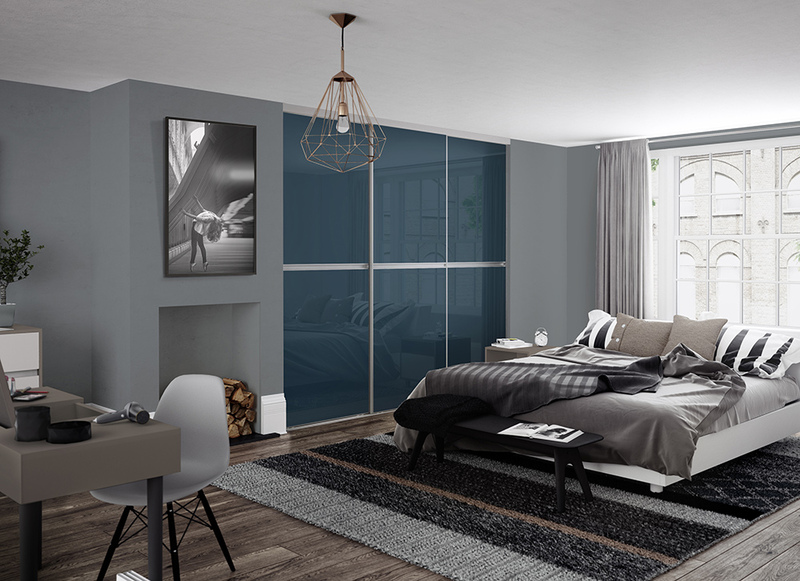 Choose glass on both sides or a mirror with a different coloured glass on the reverse to create that modern look.